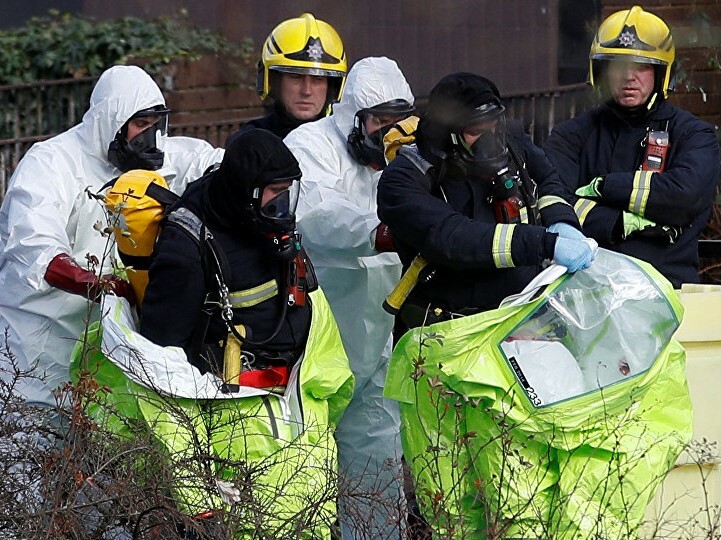 The so-called novichok poisoning of the former Russian double-agent Sergey Skripal in Salisbury resulted in a serious diplomatic crisis between Euro-Atlantic countries and the Russia Federation. Following the contradictory statements of the British government about the incidence, nearly 150 Russian diplomats were expelled from their positions in 25 countries. Communist Parties from the countries engaged in the expulsion campaign warn about the danger of imperialist belligerence. The Communist Party of Canada (CPC) sees the mass expulsion of Russian diplomats as a part of "a plan for a new diplomatic and political deep-freeze between NATO countries and Russia" and adds that it serves to divert attention from the faltering economies in Europe and North America, and the war-mongering and anti-immigrant policies of the US and other NATO countries. The CPC calls on the government and on Parliament "to reverse course, and to speak up against the new Cold War descending on the world from London and NATO headquarters in Washington." According to the CPC, the expulsions should be reversed, any sanctions being considered should be discarded and diplomatic relations should be re-established. Canada must adopt an independent foreign policy of peace and disarmament, and oppose "the new Cold Warriors in Europe and North America while there is still time to prevent global catastrophe through conventional or nuclear war." See the link for the full text. The Party of Communists USA (PCUSA) condemns militarist efforts to isolate and harass Russia. The PCUSA asserts that Russia earned "the US ruling class's eternal hatred" by blocking imperialism's attempt to overthrow the patriotic government in Syria and by retaking Crimea from the US puppet regime in Ukraine. The PCUSA stands in solidarity "with the anti-imperialist forces fighting for national sovereignty and self-determination." The Communist Party of Ireland (CPI) reminds the historical crimes of NATO-EU based on "false intelligence". The CPI warns about serious global consequences of confrontation with Russia, including the possible use of nuclear weapons. Accusing the Irish government for "using this crisis to advance their strategy of aligning this state with NATO and the military strategy of the EU", the CPI calls to end the "servile and collaborationist approach of the Irish establishment to both the EU and NATO", demands the closure of the Shannon Airport to the US war machine, the ending of all co-ordination and involvement in EU military strategies including the battle groups and PESCO and the withdrawal of Irish soldiers from NATO Headquarters in the Hague and from NATO military engagements around the world. Their final demand is that the Irish military neutrality gets enshrined in the Constitution. See the link for the news on ICP. The German Communist Party (DKP) calls for an international investigation including specialists from Russia, just as stated in the chemical weapons convention. The DKP demands from the Federal government to “find a way that will reopen a detente policy with Russia and will resume a political discussion process with rationality and objectivity”, for peace and a good neighbourhood relationship with Russia. See the link for the news on ICP. The French Communist Party (PCF) states that the French government is engaged in a "dangerous diplomatic spiral" by aligning themselves with diplomacies of ultra-conservative governments such as USA, Britain, Poland and Baltic countries. The PCF demands the immediate lifting of the "logic of sanctions". A week before the expulsions, the PCF had called for a diplomatic conference between Russia and the EU member countries in order to come up with a global regulation of the tensions. See the link for the full text. The Pole of Communist Renaissance in France (PRCF) condemns the Russophobic hysteria. Claiming that there is no need to idealize Vladimir Putin in order to oppose the belligerence of Euro-Atlantic governments, the PRCF compares extensive governmental spendings for imperialist war projects with the dismantling of public services and social gains. The PRCF calls for workers to reject marching towards a probably third and last imperialist world war. It emphasizes that in their struggles the defense of peace must be associated with the defense of popular gains. See the link for the full text.